I can’t believe that I have now been posting these Turn Back Thursday journal quilt posts for an entire year. But, here we are, at the end of my journal quilting project. 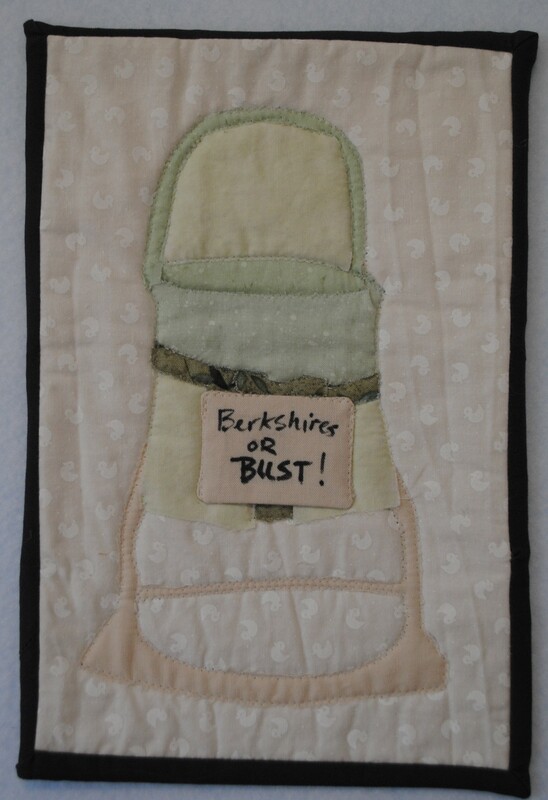 Like last week’s quilt, this one was made a little late because we were home with a newborn in Week 52. Actually, in Week 52, we had movers pack up half of our belongings into the living room and we moved out for the summer so that our condo (which was fine for the two of us, but not so great for three) could get a new kitchen, new bathroom, laundry room (so that we no longer had to go down 4 flights to the basement), and have two closets put together to make a nursery. Our daughter’s bassinet went into the car and we drove west.